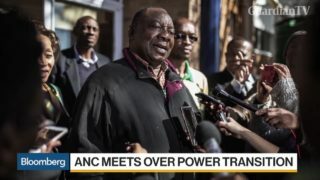 South African President Cyril Ramaphosa announced plans on Thursday to split struggling state power giant Eskom into three separate entities, as he sought to convince investors and voters that he will turn around a struggling economy before an election in May. 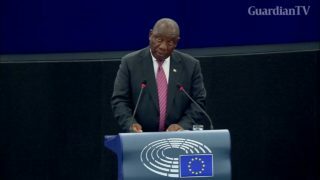 South African President Cyril Ramaphosa told the European Parliament on Wednesday that South Africa will enact land reforms in adherence to the country's constitution and with respect for the human rights of all its people. 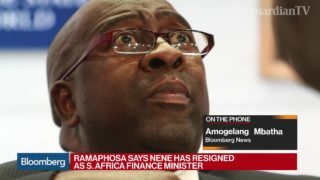 South African President Cyril Ramaphosa has named former central bank governor Tito Mboweni to replace Nhlanhla Nene as finance minister. 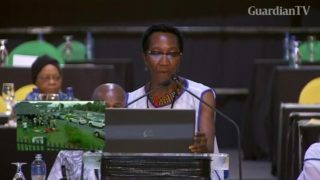 China, which is playing an important and constructive role in Africa, treats all the African countries equally and makes the continent more willing to deepen cooperation with it, according to South African President Cyril Ramaphosa on Sunday. 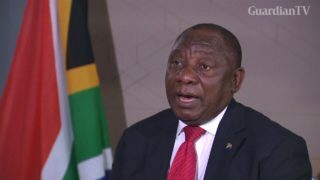 South Africa President Cyril Ramaphosa comments on the state of the country's economy during his State of the Nation address. 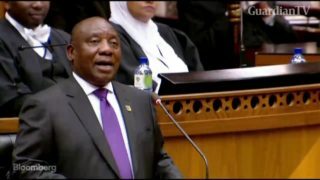 South Africa President Cyril Ramaphosa expresses his gratitude to former President Jacob Zuma during his State of the Nation address. 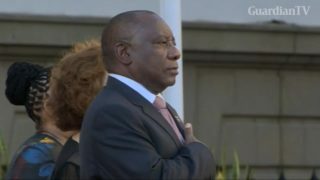 Cyril Ramaphosa has been elected the new leader of South Africa's ruling party, the African National Congress. He will step into the shoes of incumbent Jacob Zuma, with national elections set for 2019.